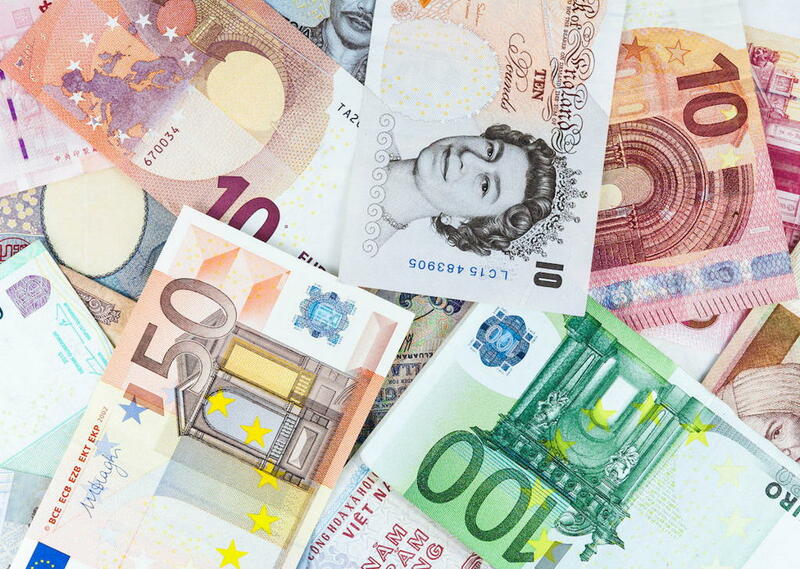 All travelers love exchanging money. 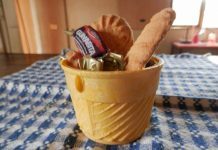 Whether you do it at the bank before a trip or at an ATM when at your destination, looking closely at the unusual coins and bills is the first step towards getting to know the culture of the place you’re visiting. 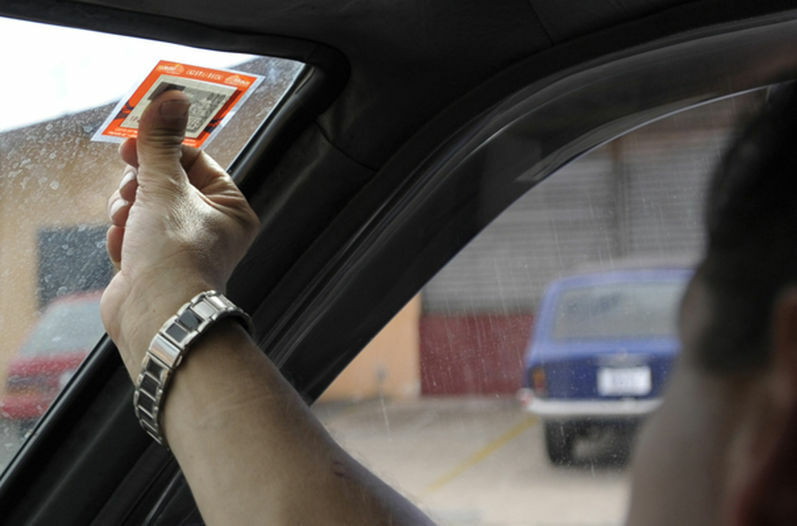 Sadly, bank cards are taking over and some countries are going cashless (looking at you, Sweden) so bills and coins are slowly but surely becoming obsolete. 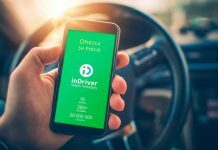 Before this happens, let’s make sure we take a good look at some of the most beautiful currencies out there and the particularities of their designs and histories that make them so unique. The Cook Islands are a cluster of 15 remote islands in the South Pacific Ocean. 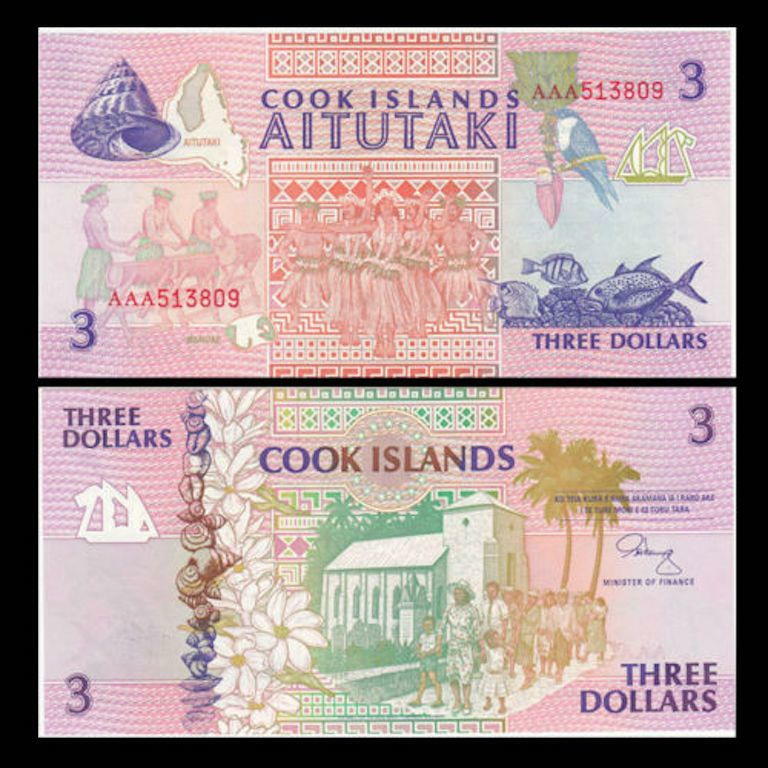 Because the islands were a New Zealand colony from the start of the 20th century to the 1960s, the two countries have a special relationship; Cook Islanders are New Zealand citizens and the currency used in the Cook Islands is the New Zealand Dollar. 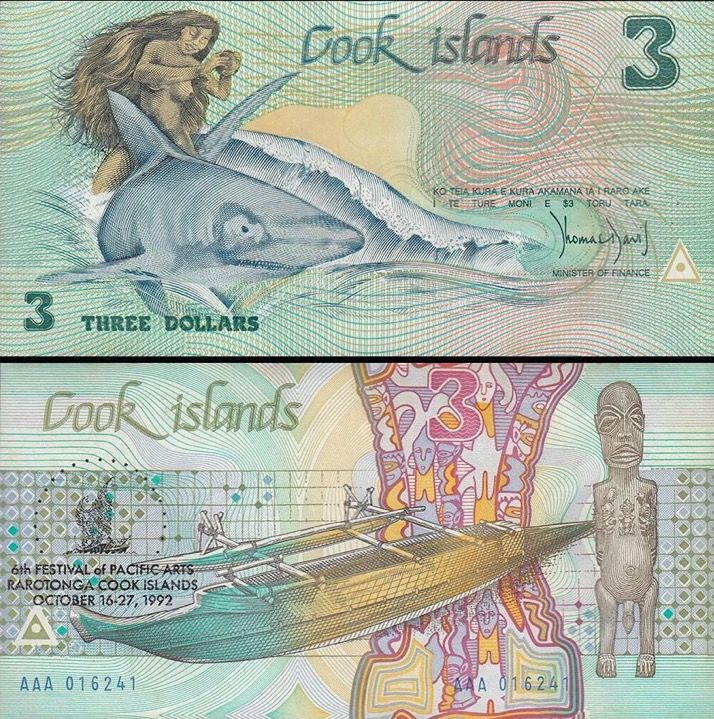 That said, the Cook Islands also have their own bills and coins, including an unusual $3 bill and a triangular $2 coin, both of which are collected by travelers to the islands and kept as cool souvenirs. The 3-sided, $2 coin’s obverse side shows Her Majesty Queen Elizabeth II, while the reverse side represents a simple table with an ewer atop. There are two different designs for the unique $3 bill. 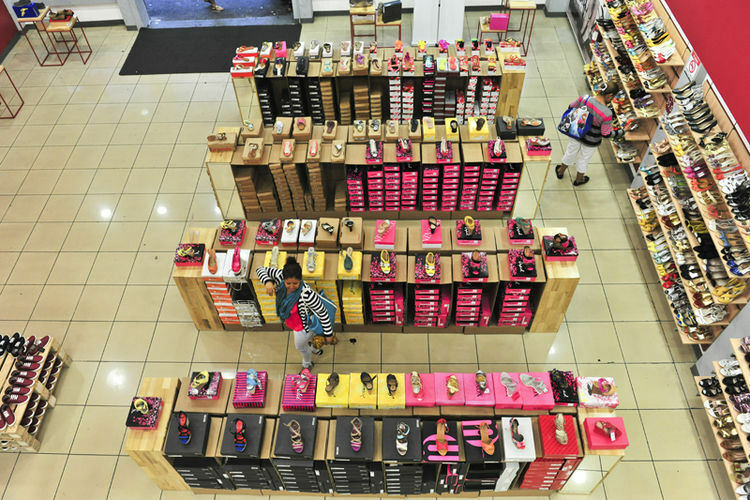 One is pink and shows, according to Coincraft, a typical Sunday scene with churchgoers on one side. On the back, it shows dancers, tropical fish, a large conch shell, and a blue lorikeet. It is dedicated to the island of Aitutaki. The other one is green and blue and displays a naked woman riding a shark. This is a representation of the legend of Ina, a young woman from the island of Rarotonga (the largest Cook island), who is said to have ridden a shark to visit her boyfriend on Mangaia (the most southern and second largest of the Cook Islands). After hitting the shark on the head with coconuts, the shark ate her so she never made it to her destination. On the back are a boat and a piece of traditional Cook Islands artifacts. 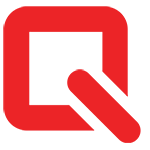 Aruba is an independent Dutch caribbean island off the coast of Venezuela. 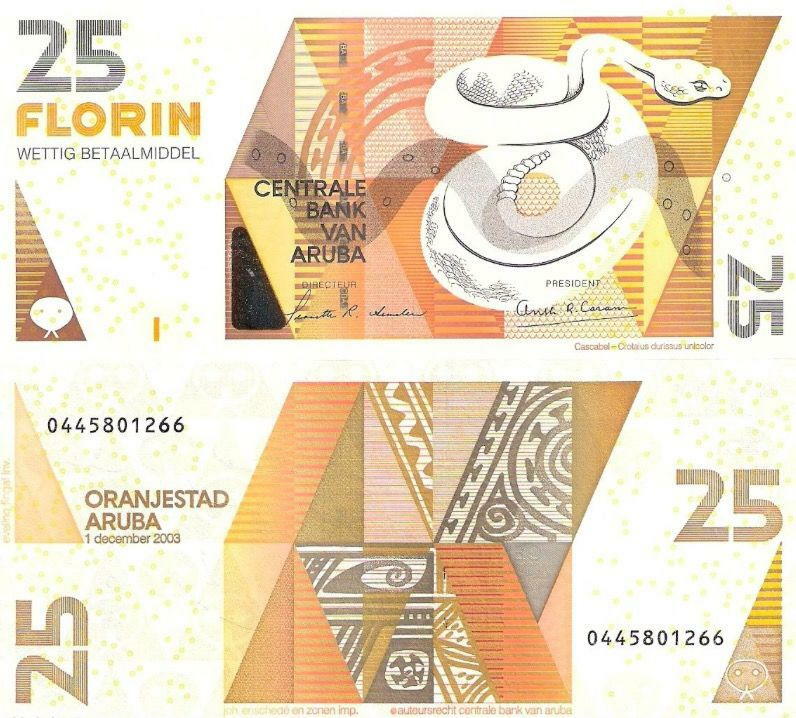 The Aruban currency, the Aruban Florin, replaced the Netherlands Antillean Guilder in 1986, but the US dollar is widely accepted on the island and both currencies are often used together during commercial exchanges. Aruba’s paper money is colorful, super pretty, and deeply representative of the country’s culture and natural life. They all have the same geometrical shapes on one side (decorative motifs found on pre-Columbian pottery), but each denomination has a different color and animal displayed on its other side, such as conch shells, rattlesnakes, owls, frogs, and fish. 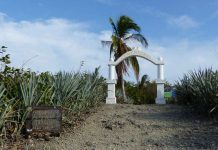 According to the Central Bank of Aruba, this combination was meant to emphasize the relation between past and present. Aruba is the only country to have a 25 denomination in its currency, but it’s not the only cool fact about the Aruban Florin — its 50-cent coin is square. There used to be a 5-Florin square coin, but it was phased out and replaced by a round version to avoid counterfeits (round coins are harder to fake). For more information about the bills and coins currently in circulation in Aruba, visit the website of the Centrale Bank van Aruba. The South African Rand has been in circulation since 1961, the year the country became a republic; before that, South Africans used the Pound Sterling. The name of the South African currency comes from Witwatersrand (“Ridge of White Waters”), a 56-km ridge famous for its huge gold deposits located in the region of Johannesburg. Each South African Rand bill features one of the “big five” (the five wild animals associated with South Africa’s wilderness: the lion, elephant, rhino, leopard, and water buffalo ) on one side and honors Nelson Mandela (an anti-apartheid resistant fighter and the first democratically-elected president of South Africa) on the other side. The South African coins are equally focused on celebrating the country’s beautiful nature by featuring indigenous animals and plants such as the black wildebeest, the kudu, the springbok, and the bird-of-paradise flower. 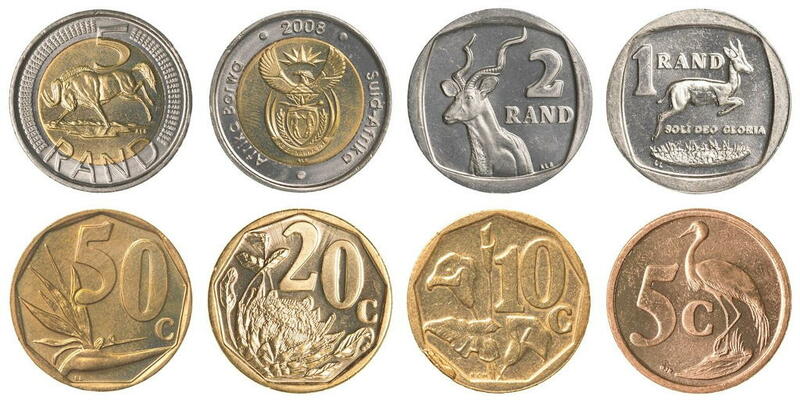 Cool fact about these coins: According to the South African Mint, the text featured on each coin rotates annually to fairly represent South Africa’s 11 official languages. For more information about the bills and coins currently in circulation in South Africa, visit the websites of the South African Reserve Bank and the South African Mint. The islands of Tahiti, or French Polynesia, are a collection of 118 dreamy islands located in the South Pacific. Because Tahiti is an autonomous overseas country of the French Republic, you’d think they’d be using the Euro as their currency. Well, they don’t and that’s probably a good thing because compared to the gorgeous Pacific Franc, the Euro is mighty boring. 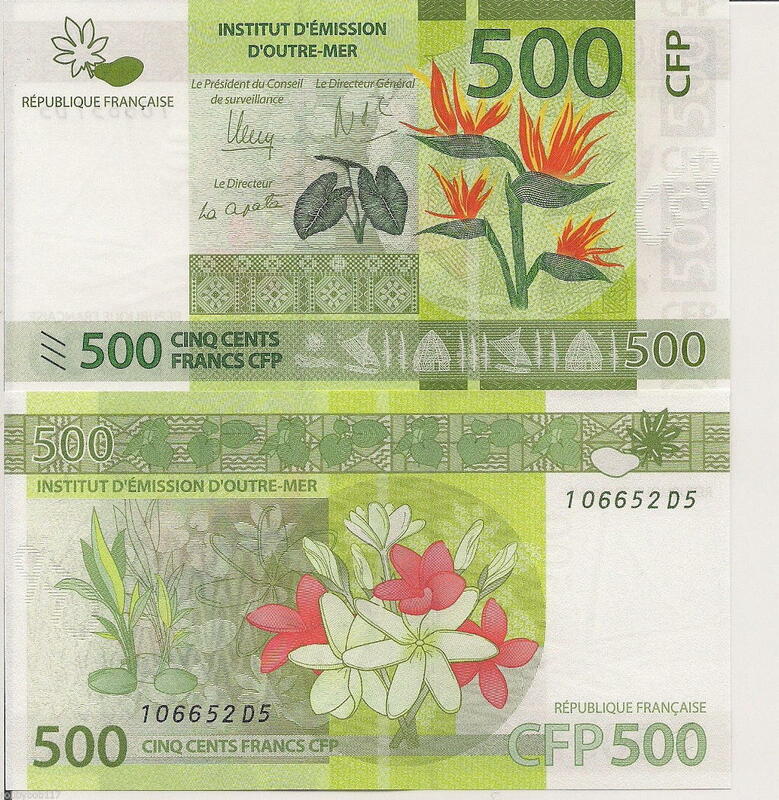 The Pacific Franc is not only used in the islands of Tahiti, but in all French territories in the Pacific, i.e. New Caledonia and the islands of Wallis and Futuna. By having a currency that is different from mainland France, these territories keep their uniqueness and a semblance of independence, so we hope they won’t adopt the Euro any time soon. The size and designs of the Pacific Franc bills have changed, but they are just as incredibly beautiful and colorful. Each bill (500, 1.000, 5.000 and 10.000 Francs) has one side dedicated to one of the four regions where it is used (French Polynesia, New Caledonia, Wallis, and Futuna). 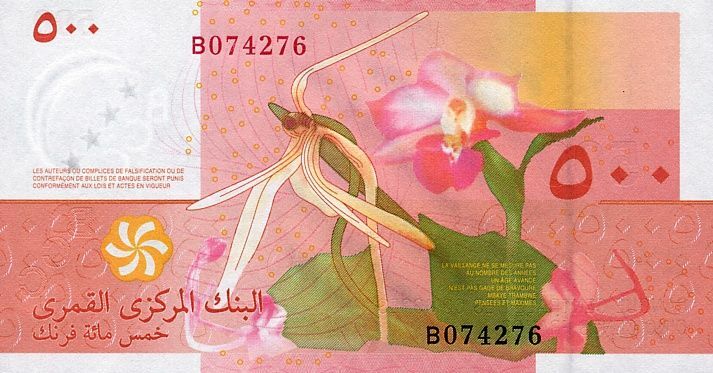 Every bill features fauna and flora that are significant of the area such as turtles, fish, bird-of-paradise flowers, etc., as well as elements of Polynesian culture such as the traditional house displayed on the 10.000 bill. As far as coins are concerned, for each (there are 7 of them), one side is dedicated to the French Republic and the other side is dedicated to either French Polynesia or New Caledonia. To learn more about the Pacific Franc, check out the Institut d’émission d’outre-mer’s amazing booklet on this currency’s history. Not only did France have her nose stuck deep inside the South Pacific, she also messed around in many African countries, Comoros included. This is reflected in the currency in use in the now-independent country. After Comoros’ independence in 1975, a new set of bills and coins were issued to reflect the political change. However, even after the country’s independence, the Comorian Franc remained part of the African Franc community that is pegged to the Euro and regulated by the Banque de France. 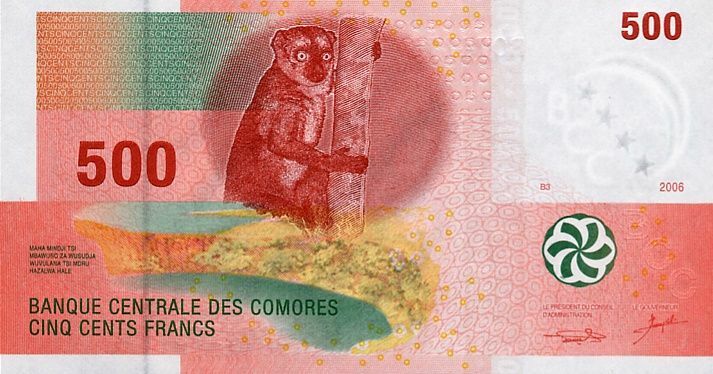 The Comorian bills and coins issued by the Banque Centrale des Comores were recently changed. They are colorful and unique to Comoros’ culture, history, fauna and flora. 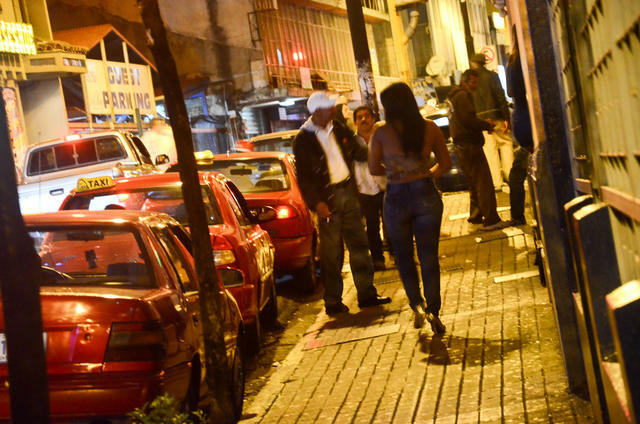 Note that the African Franc community is a highly controversial topic and often considered a remnant of colonialism, so the francs in use in Africa may soon be a thing of the past. For more information about the bills and coins currently in circulation in Comoros, visit the website of the Banque Centrale des Comores. The Costa Rican coins are somewhat ordinary, but the bills are some of the most beautiful paper currencies out there. The six bills are very colorful (not a dull payment in sight!) 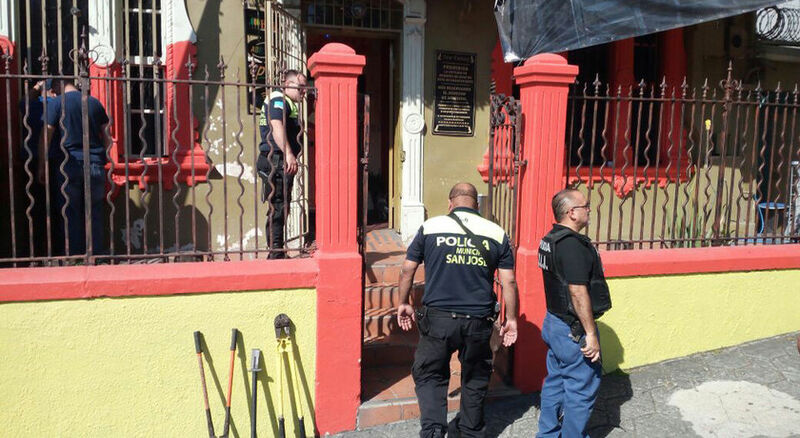 and each of them pays tribute to the men and women who made significant contributions to Costa Rica’s history on their obverse side. The reverse side of each of the bills is different and focuses on Costa Rica’s beautiful biodiversity with representations of plants, ecosystems, and animals such as sloths, hummingbirds, and sharks. To learn more about the Costa Rican currency, check out the website of the Banco Central de Costa Rica. 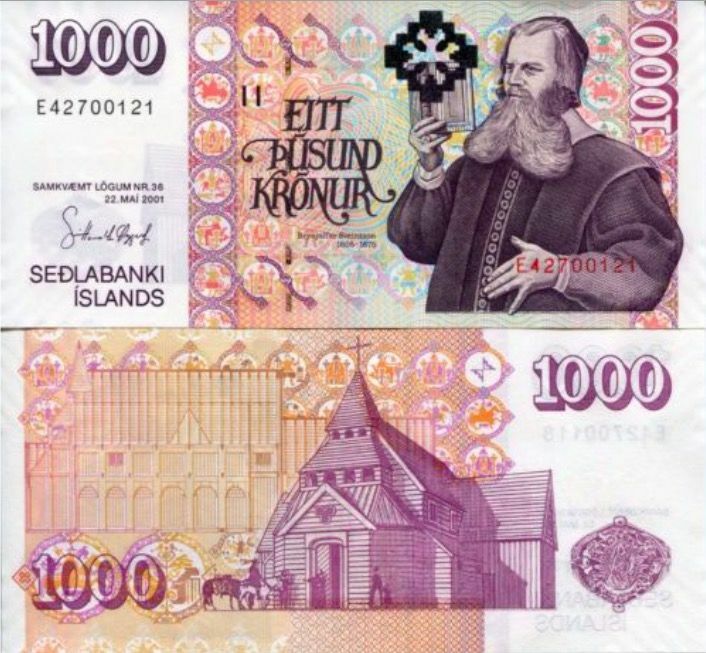 Although Iceland is generally included in Europe on matters touching history and geography, it is not part of the EU and does not use the Euro, but the Icelandic Króna (krónur in plural). There are five bills and five coins in use in Iceland. Each coin’s obverse side features the four guardian spirits of Iceland (a bull, a mountain giant, a bird, and a dragon) while the reverse sides display marine wildlife. Each coin has a different sea creature: a lumpfish, a shore crab, capelin, dolphins, and a cod. The bills are not as bright as some of the ones displayed in this list, but they are so intricately detailed that it is hard to know where to look. 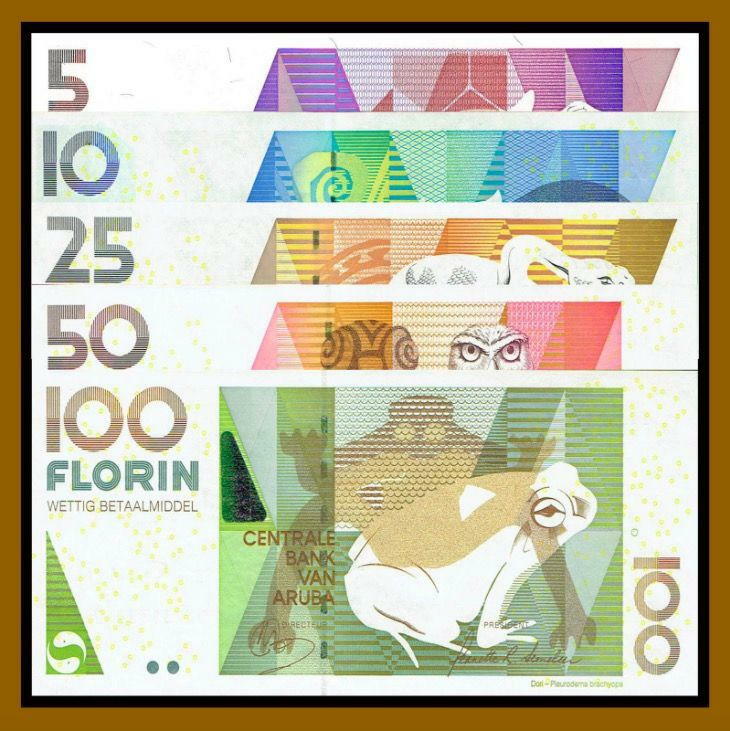 Also unlike every other currency mentioned in this list, the Icelandic Króna bills do not focus on fauna and flora, but instead mostly displays historic Icelandic characters and artists, as well as famous Icelandic pieces of art such as drawings, painting, tapestries, quilt patterns, and embroideries. 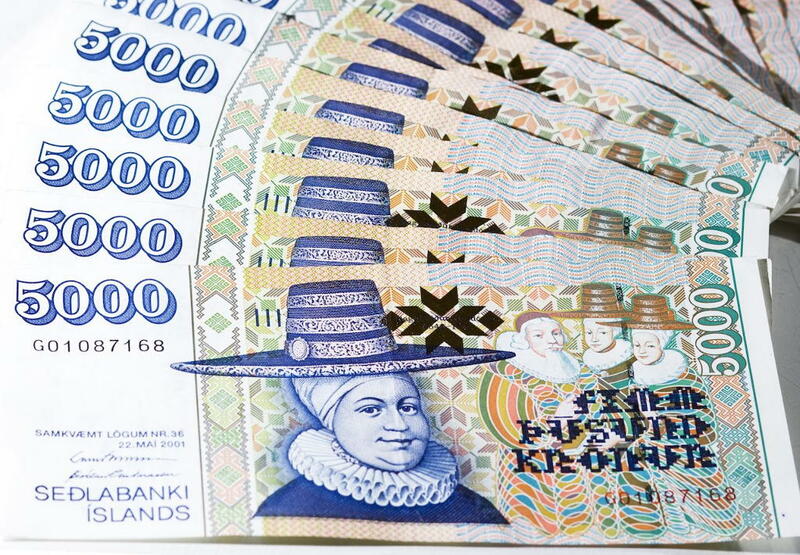 The 5000 Króna bill is especially cool. Look at those women’s hats! For more information about the bills and coins currently in circulation in Iceland, visit the website of the Central Bank of Iceland.